Braun BN0211BKMHG Black Stainless Steel Mesh Men's Watch. 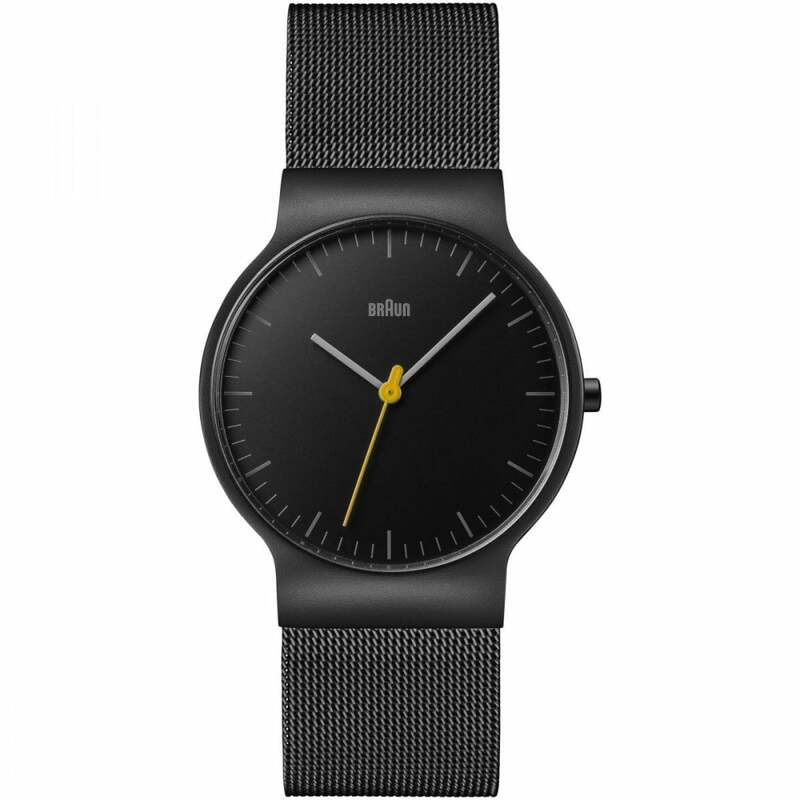 The Braun BN0211BKMHG watch features a stylish black mesh strap, a matte black case, with a simple yet sophisticated black face. Other features of this watch include an analogue display, three-hand quartz movement, and 3 ATM water resistance. Tic Watches are official stockist’s of Braun Watches so this watch comes with 2 year manufacturer’s warranty.